Mrs. Elizabeth E. Hayes, whose maiden name was Deering, was born in Cherryveil [sic], Kansas, November 16, 1856, and died at her home in Sedalia, July 19, 1925, after a lingering illness at the age of 69 years, 8 months and 8 days. 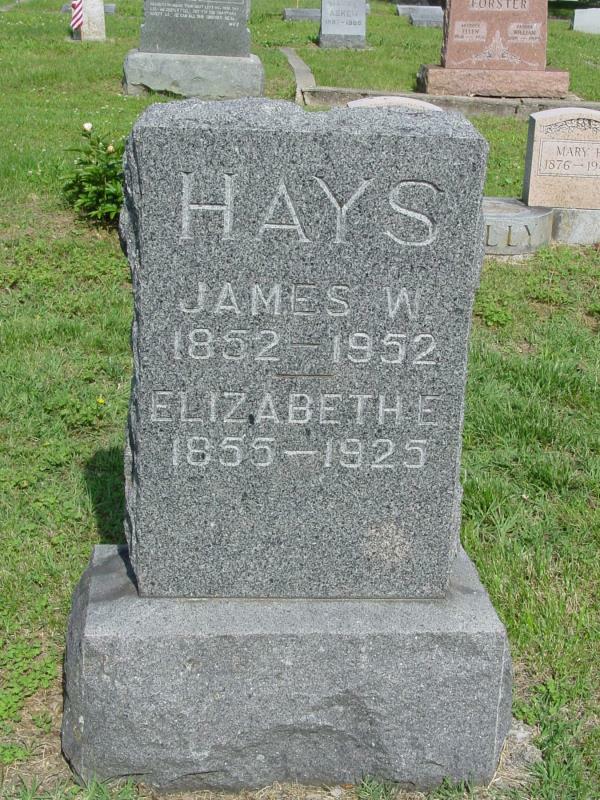 She was united in marriage to J. W. Hayes December 4, 1873. To this union were born eleven children, six of whom with the father survive. They are: Mrs. Mabel Siegle, of Cleveland, Ohio; Mrs. John Shores, of Versailles; Mrs. Clara Shores, of Sedalia; Mrs. Ollie Lawson and Charles Hayes, of Kansas City, and Ed Hayes, of Jefferson City. She also leaves thirteen grandchildren and three great-grandchildren. Deceased professed faith and united with the Hopewell Church in Cooper County when a little girl, and at the time of her death was a member of the East Baptist Church in Sedalia. She was a devout Christian and loved by all who knew her, always willing and ready to help with the work of her church. Funeral services were conducted at the home in Sedalia, by her pastor, Rev. J. A. McGraw, July 20th, and from there the remains were brought to Versailles Tuesday, July 21st, and taken to the home of her daughter, Mrs. John Shores. A short service was held at the home Wednesday morning at 10 o’clock, by Rev. F. C. Richards, pastor of the Versailles Baptist church, after which the body was laid to rest in the city cemetery. Care was taken to transcribe exactly as published, even though some surnames (e.g. SHORE) were spelled incorrectly.